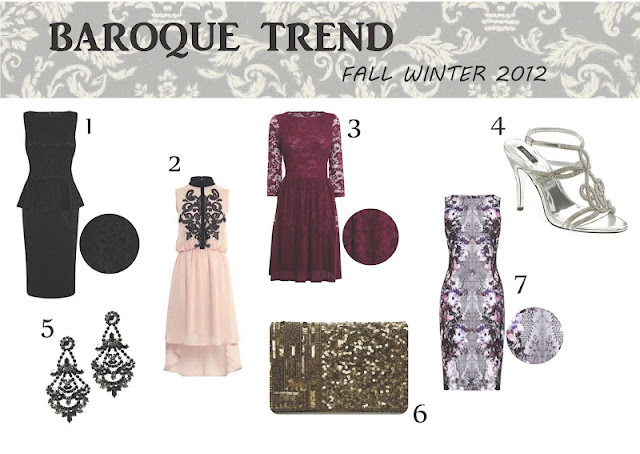 One of the big trend in fall winter this season is the Baroque drama. Major fashion houses are playing with the intricate details, gilded metal, and lavish ornament to portray the glory of this period. You can too try this trend with outfit details, here are some of the tips from me. One of the ways to pull this trend is through evening dresses for formal events or parties this upcoming months. Embossed details on black is a subtle way to rock this trend, while combining it with pastel colors are fun too. Don't forget to complete your look with accessories like black chandelier earrings with gemstones and sparkle evening sandals. last but not least, carry a gold sequins clutch for all your party needs.